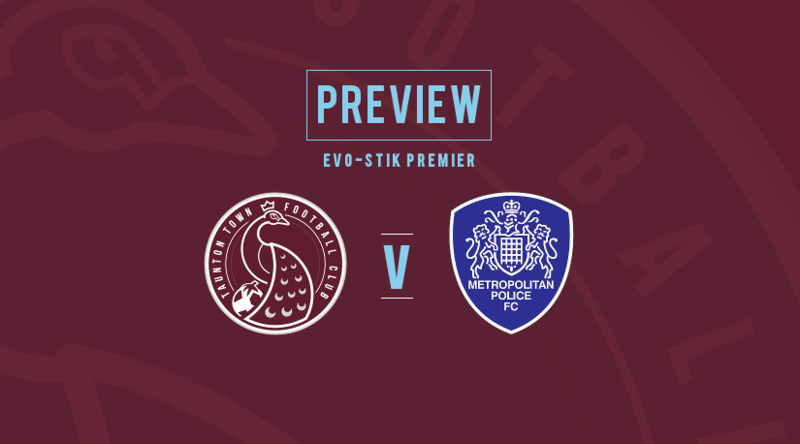 An exciting final month of the Evo-Stik League season is in store for the Peacocks beginning with the visit of fellow high fliers Metropolitan Police to the Viridor Stadium tomorrow (6th April), kick-off 3.00pm. Last Saturday’s win at Chesham United guaranteed Town the minimum of a place in the Play-Offs in their first ever season at Southern Premier level but the title is still on their radar so they will hope to keep the pressure on leaders Weymouth with victory against the Blues tomorrow. The Police side come to Somerset on the back of a 4-0 defeat at Weymouth in midweek, their first setback in six fixtures. 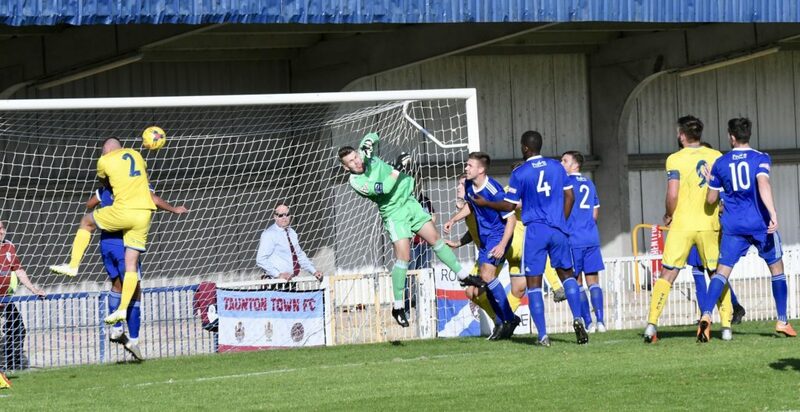 This win stretched the Terras’ advantage at the top to five points and with the Dorset side entertaining already relegated Staines Town tomorrow, the Peacocks can afford no slip-ups, especially as the Police lie only two points adrift in third position. Town will also be keen to banish memories from the first ever meeting between the sides at Imber Court in September when a Ben Adelsbury equaliser was as good as it got for Town as they fell to a 4-1 defeat. The Peacocks though have won their last three games and will be aiming to maintain that sequence tomorrow and extend their unbeaten home league record to a remarkable 36 games. Ed Palmer and Keith Emmerson both return to the fold after missing the trip to Chesham while recent dual signing from Plymouth Parkway Shane Krac is also included in the squad. Town endured a tough day at the office at Imber Court slipping to a 4-1 defeat. Supporters are also reminded that this match is the final opportunity to purchase Man Utd Legends tickets. 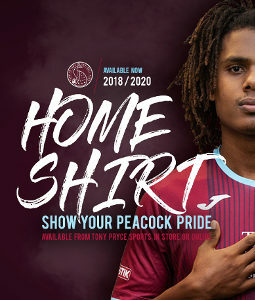 They will be back on sale from 2pm in the club shop. Please note if you are not attending the game you will not be admitted to the ground solely to purchase tickets for the legends match.